Two Dream Team debutants from the Watford defence provide the foundations for the Gameweek 10 elite XI. After the 1-0 win over Hull City, Walter Mazzarri's rearguard has provided three consecutive clean sheets, supplying Fantasy Premier League managers with a cast of bargain options. Having returned 33 points in his last four Gameweeks, Jose Holebas (£4.7m) has been the go-to option of late, but team-mates Miguel Britos (£4.4m) and Sebastian Prodl (£4.5m) earned Dream Team recognition this time. The pair line up alongside Manchester United's Daley Blind (£5.7m), who also earns a debut call-up. Blind picked up a clean sheet in the draw with Burnley and recorded two bonus points. No defender has earned more than his total of nine. Tom Heaton (£4.7m) was the star performer at Old Trafford and an 11-point return, his second double-figure tally this season, handing him his third selection in this XI, matching Alexis Sanchez (£11.4m), who is also included. A 13-point tally in Arsenal's 4-1 victory at Sunderland was Sanchez's third double-figure total this season. 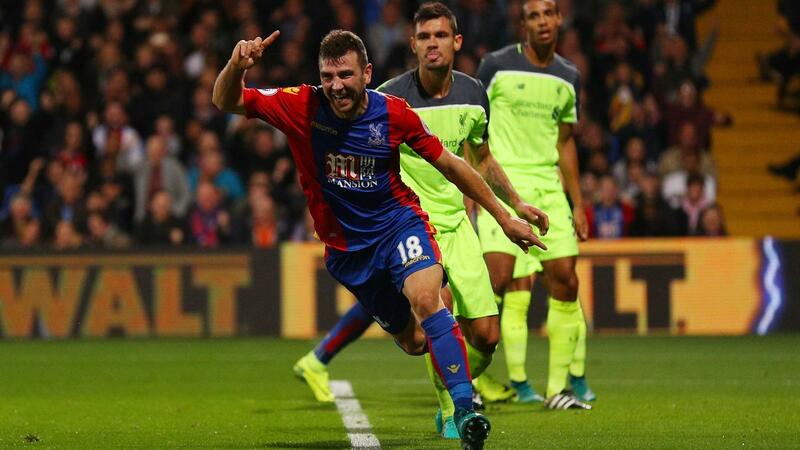 All three have arrived away from home, with the Chilean scoring five of his six goals on the road. Chelsea's Eden Hazard (£9.9m) gets a second Dream Team cap, thanks to a third goal in as many Gameweeks in a 2-0 win at Southampton. 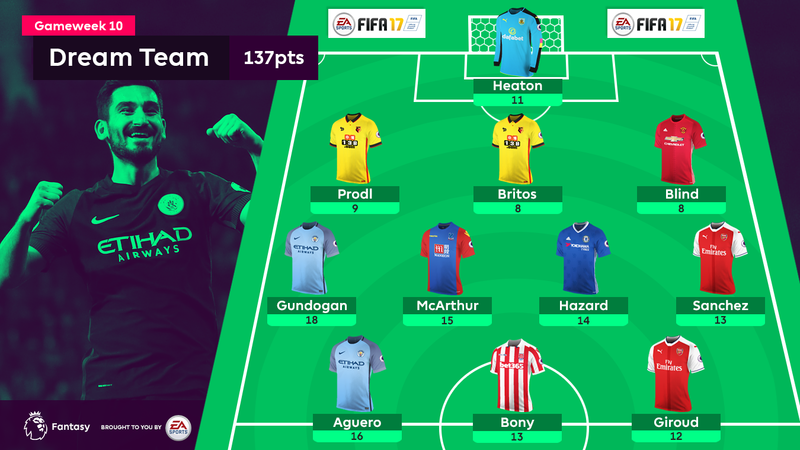 Manchester City's Ilkay Gundogan (£5.5m) and Crystal Palace's James McArthur (£5.0m) make their Dream Team bows as they both enjoyed being thrown into attacking midfield berths in Gameweek 10. The pair have scored three and four goals respectively. With three forwards claiming a brace of goals each, we are treated to a fully stocked front line. Olivier Giroud's (£8.8m) announced his return to fitness, but his selection may not earn an immediate start for in Gameweek 11 with Sanchez seemingly assured of the lone striker role for Arsenal. Wilfried Bony's (£7.3m) future pitch time looks more assured after his brace for Stoke City against Swansea City ended a six-match drought. The Ivorian will look to replicate the form that brought 17 goals Swansea in 2014/15. At £7.3m and with obliging fixtures to come, Bony, who is in only 1.1% of squads, could prove a worthy differential. Sergio Aguero's (£13.1m) ownership is far less modest at 43.9% and is growing at pace after his two-goal blast at The Hawthorns. Another player to earn a third Dream Team call-up, the Manchester City striker has extinguished the doubts of FPL managers and is heading into the Gameweek 11 meeting with Middlesbrough as a clear front-runner for the captaincy. How many points are needed to stay up?